During April’s Tread Talks, we wanted to get another perspective on one of our newest support running shoes. Read below as @run.it.off shares her thoughts on the new Wave Horizon 3. A new year, new shoes! 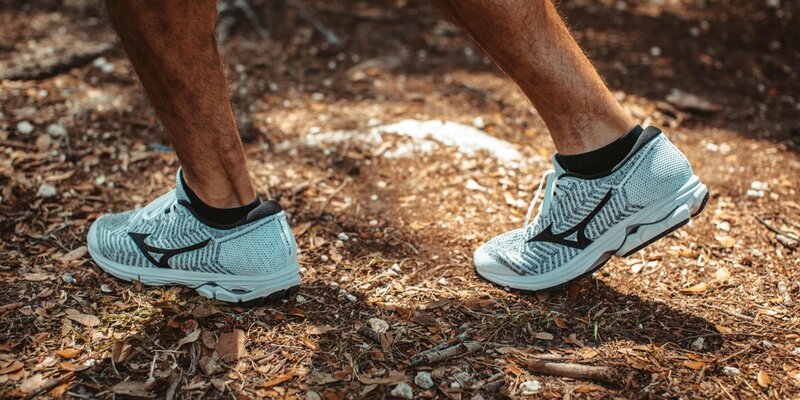 I was so impressed with my last pair of Mizuno running shoes that I have paired up with them again to test out their new Mizuno Wave Horizon 3 with new AeroHug technology that is designed for high mileage runners like me! Another pair of black running shoes! I may be getting spoiled but I am loving the black, neutral color of this shoe. It does have just a pop of pink on the tongue, which will compliment my racing shirt perfectly! The first place I took these shoes was a body pump class at the gym to test out the feel. As soon as I put the shoes on, my foot felt snug and stable. I LOVED how much cushion there was in the sole of this shoe. I actually felt like I was wearing a supportive shoe with enough padding for me. 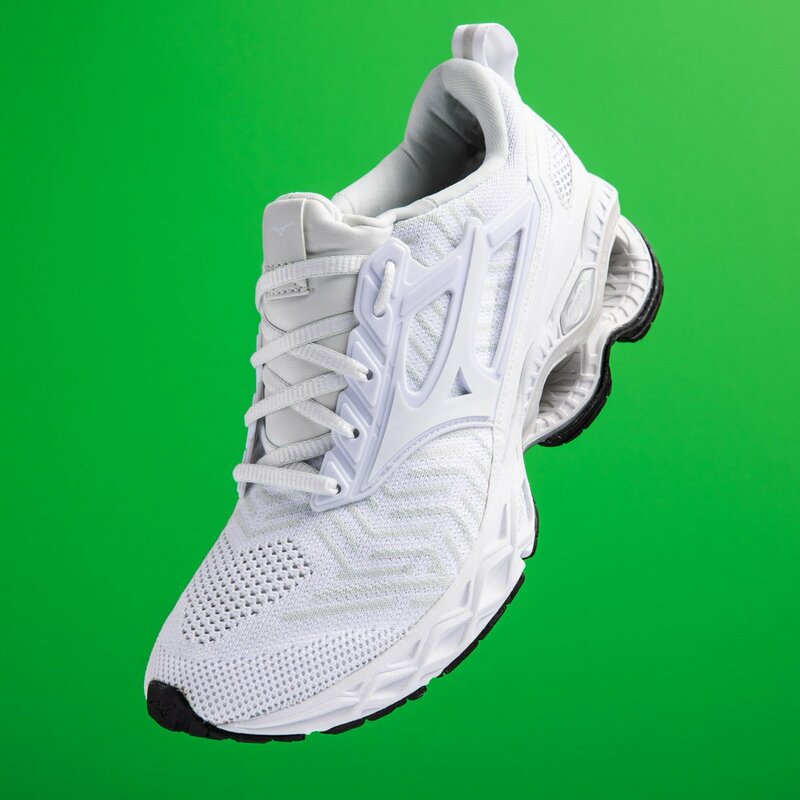 Personally, I prefer a well stabilized and supportive shoe over a lightweight shoe that feels like my foot can slip out at any moment. Yes, this shoe did feel a little “heavier” than I am used to, but I didn’t mind it. The shoes survived the workout class, and the sole provided great traction while doing squats and lunges. Next stop – work! As I have mentioned before, I can wear my running shoes to work, if they are black, so I was happy to be able to wear these shoes with my scrubs. The shoes felt great all day! There was plenty of cushion to keep my feet comfortable and I had zero foot or knee pain while moving around. After breaking the shoes in at work, I took them back to the gym and onto the treadmill for their first speed workout. Since these shoes are a little heavier than most, it took a while for me to get my pace up. However, once I did, I felt like I could run as fast as I wanted in these shoes without worrying about my foot slipping to the side or anything. I even felt stable running without taping my knee! The next trial for these shoes was a 5.75 mile run along some streets with a Tuesday night running group. I don’t know if it was the dual compound midsole of U4icX and U4ci that allows this shoe to feel so stable or the AeroHug technology that wraps around the foot, eliminating any space between shoe and foot, but either way, I felt like this shoe was really a part of my foot. My arches didn’t hurt from running on the sidewalk or on the pavement of the road and I didn’t feel like my foot slipped forward when I was running downhill. Once again, I was impressed by these shoes! I will continue to train with these shoes, take them on a few more terrains, and really test it out during my upcoming races! This shoe has passed the speed workout test, but now it’s time to see if it can pass the Run.It.Off test. Vanessa is an avid runner from Southern California who began running marathons 4 years ago as an excuse to have an extra serving of dessert. As of today, she has run marathons all over the world including the Boston Marathon, the Great Wall of China Marathon, and the New York Marathon.